There are two methods through which one can become a dental nurse in the United Kingdom. The first method is gaining the required skills and knowledge as a trainee with a recognized dental practice. The second method requires you to take a full time college dental course, after which you will seek recognition and registration by the General Dental Council (GDC). Level 3 Diploma Dental Nursing course aims at equipping you with the skills and knowledge needed to assist in chair-side work and also support the surgeon while they are carrying out various dental treatments. The course encompasses all the underpinning ethics, teamwork, professionalism and communication skills. The basic admission requirements for this course by most of the institutions offering training for dental nurses is usually GCSE grades of A* – C with strong emphasis on English, Math and Sciences. While you proceed with the normal college work, you will also be expected to spend two days weekly in a dental practice for practical experience. This course is administered by the National Examining Board for Dental Nurses (NEBDN). The aim of the course is to prepare the candidates in the proper foundations of dental nursing thus enabling them to demonstrate exemplary standards in terms of skills, knowledge and professional attributes. This is another training for dental nurses you may want to consider if you want to qualify and practice as a dental nurse in the United Kingdom. The focus of this course is to equip the trainee medical nurse with the foundation knowledge needed to not only aid the dentist surgeon in performing their duties but also offer the necessary education regarding oral health and hygiene to patients. Foundation Degree in Dental Nursing is a flexible, innovative and a practice based course offered by dental schools in London at the degree level. The course is necessary for equipping aspiring dental nurses with the academic credibility as well as the ability to work on different scopes of dental nursing upon graduation. After the completion of the course, the students shall have developed the requisite professional skills necessary to raise patient care needs and to raise the oral health care standards in the ever changing dental care field. 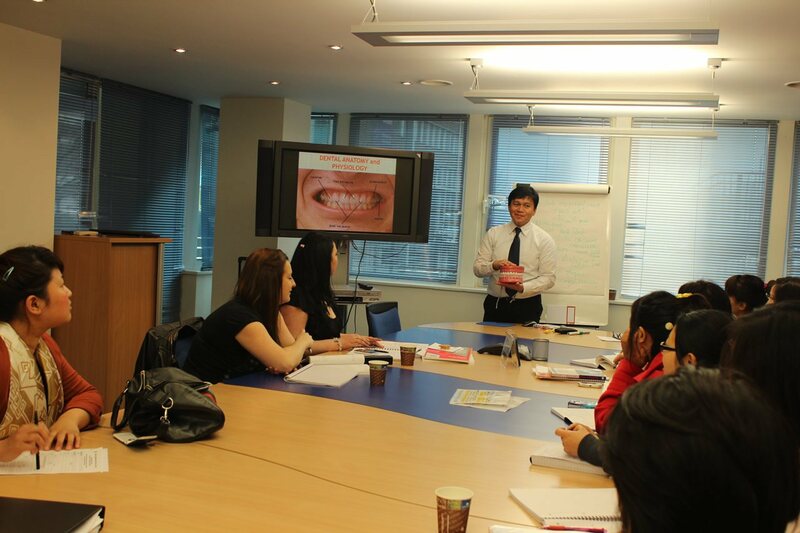 I am level 1 Esol student, I would like to have more information about dental nursing courses. In addition, which qualifications is required for this course and ofcourse about the cost of training, because I can not pay by myself. I’m on benefit. I look forward hearing you. Thank you for visiting our site and leaving your comment. One of our admission team member will shortly contact you with reply to your query. I am GDC registered but not qualified. Nice to see you here. How can we help you? Do you want to be qualified for GDC? Just contact us.